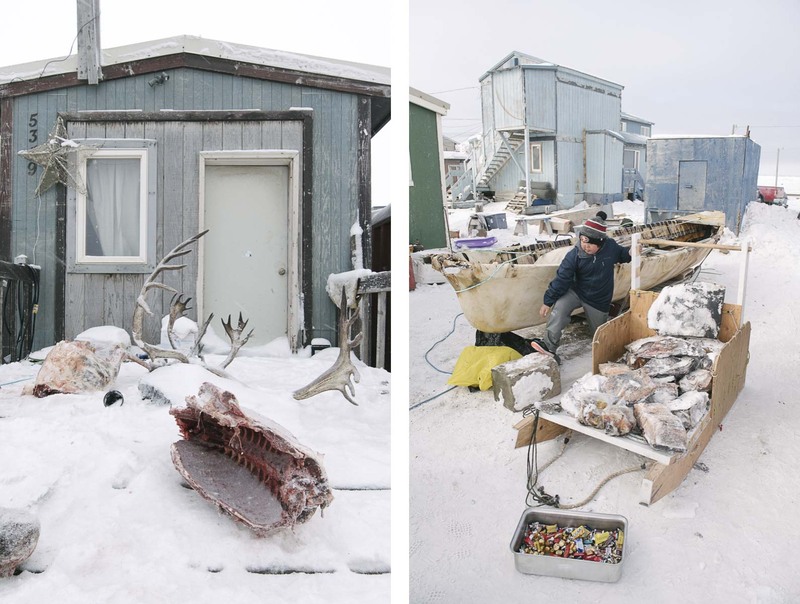 Left: From autumn to spring, the front porch acts as a family freezer for caribou, as here in the village of Utqiagvik, Alaska. Right: Steven Reich prepares to give away candy and leftover maktak from his whaling crew to the community of Utqiagviq, in a ritual marking the beginning of the whaling season. This ritual and many others surrounding whaling reinforce the bonds of the Iñupiaq community.